Just something for a little bit of fun. 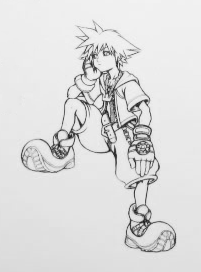 I know Sora's look is set for 13yrs now but nonetheless would you have liked to have seen Soras initial design? Do you like it better? Prefer it or find it having something the finalized human Sora doesn't? Personally I wish the design had been used. The Proto-Sora has more personality imo. A bit more of a disney feel to him. Of course I agree with the sentiments about the chainsaw blade so if Proto-Sora was used I'd want him with his keyblade. 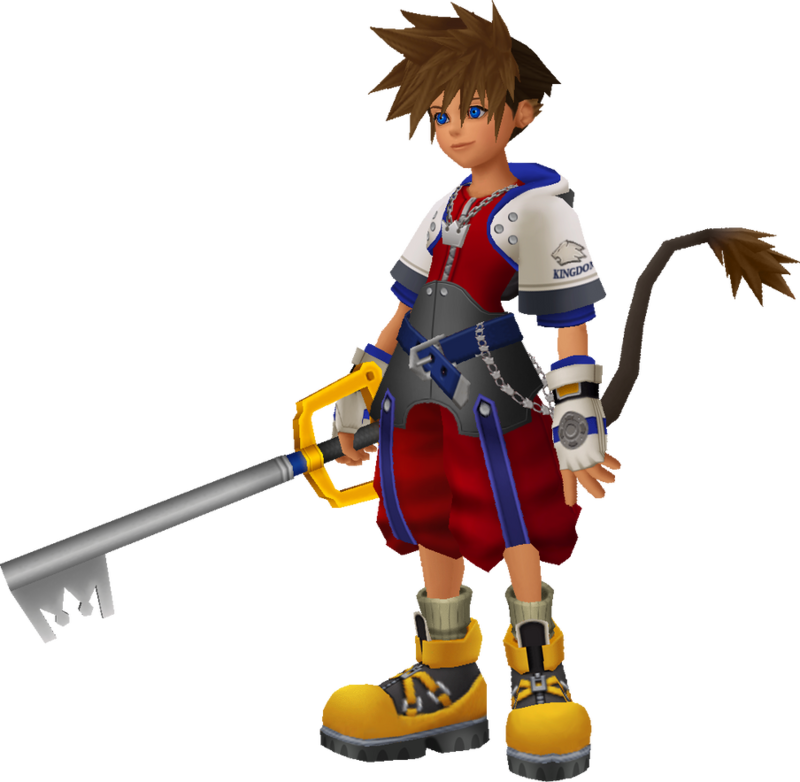 So for this thread I do mean Proto-Sora with his keyblade. What about everyone else? Please try to shake off the 13yrs of being used to human Sora and let me know what you think. Still prefer human Sora? Are you at least slightly curious of Proto-Sora? Would you have preferred him? Human Sora just looks so much better,especially with how he looks in later installments. I can't see beta sora's kh2 and kh3 outfits topping the human Sora's,but then again who knows. I still like what we've got now. I have a feeling that the story wouldn't have been able to develop the way it did if we had a lion furry is the protagonist. Something interesting though: it seems like that signature necklace of his has been a part of his design since day 1, even as a lion-hybrid-thing. Some things just don't change, do they? Beta-Sora looks lively and creative, and much less out of place next to Donald and Goofy. 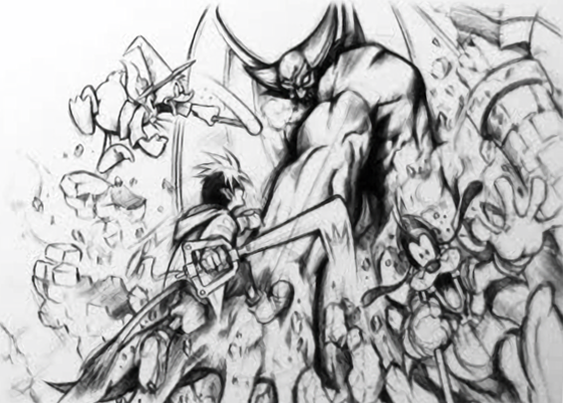 The actiony sketch looks so much cooler with him than with final draft Sora. Buuut I have an admitted bias for human Sora because I'm not sure what proto-Sora would really look like as a render instead of a sketch. He doesn't quite have the iconic or goofy thing that make looking at Donald and Goofy normal, so he may just look kinda off that way. To me, at least. I feel like it would be weird unless Riku and Kairi were Furries too, and Xehanort and TAV. They'd at least have to be some type of animal. I think it would be a totally different game. I feel like I'd prefer what we have if given the choice between the two. I have to admit that the lion/beta version looks rather cool, but the human Sora appeals to me more. There is just something about this dork that makes me smile. I also like more the clothes he is wearing in his human form. Really cool that the crown necklace has been part of the character right from the beginning. Now I'm imagining Xehanort as a goat. Thanks for that. I love both but I like human Sora more. It's more appealing and I feel Proto-Sora would have looked more out of place with the Disney cast than human Sora does. I love the creativity and uniqueness of the original design and sometimes I wonder what the series would have been like if all of the original characters had been animal hybrids. It's both really awesome and really hilarious. Fudgemint, you're wonderful! Oh my god, that's perfect! (Well, I think he should've kept the Spock ears, and a lot of satyrs I've seen have pointy ears as well, but...) You are so awesome. Nah, Human Sora is better. I don't like the idea of all the original characters being furries. Besides most of the Disney characters Sora has met are humans, his old design would look too out of place IMO. The odd thing is, I love the beta and final about the same. Final fits in a lot better with certain worlds (could anyone really see beta Sora in POTC when he already kind of stuck out? ), but I really love the look and concept behind beta Sora as well. If the series ever gets a true spinoff series like how World of Final Fantasy is to FF, or Sonic Boom to Sonic (sorta bad example but still), I wouldn't mind seeing Sora's design return to this and everyone else have similar styles. Not sure if it was lion Sora, but I think the orange suit and silver hair were so much cooler than the final delivery. O damnz! Did you draw that?! That's awesome! Is it bad that I'm now really wondering what all of the original humans would look like in furry form? Yeah, really Fudgemint, this is a really good drawing! I love it. I think that I like the human design more. The original design is cool and creative, but I guess that I just prefer a 'dull, ordinary boy' more.